A scholarship in service to health, the Medical Excellence Fund provides financial assistance to individuals from Polk, Hickory, Dallas, Cedar, Greene, and Dade Counties. Through the Medical Excellence Scholarship Fund, CMH encourages and supports local students to work toward his/her healthcare training and then return to the CMH rural area to practice their profession. To date, the fund has provided more than $2.1 million in assistance to more than 400 students. For more information about this scholarship, call Wren Hall at 417-328-6318 or email wren.hall@citizensmemorial.com. The CMH Medical Excellence Scholarship Golf Classic is the annual fundraising activity for the scholarship program. 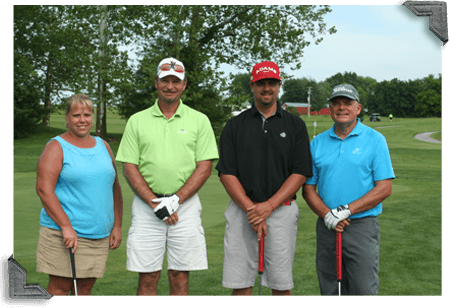 The tournament is held yearly the first Saturday in June at Silo Ridge Golf and Country Club in Bolivar. The tournament is an 18-hole, four-person scramble with shotgun starts at 7:30 a.m. and 1 p.m. The tournament will feature two shotgun starts at 7:30 a.m. and 1 p.m. Each player will receive a gift package, breakfast, lunch, snacks and a barbeque dinner after the tournament. Green fees and cart rentals are included in the entry fee. Each player also will be entered into course contests and mulligans are available at $40 per team. Prizes for first, second, third and fourth will be awarded in four flights. There is a maximum of 55 teams and spots will be filled on a first-come, first-serve basis. Several different sponsorship levels are available for the tournament. For more information regarding the tournament or sponsorship opportunities call Wren Hall at 417-328-6318 or email wren.hall@citizensmemorial.com.